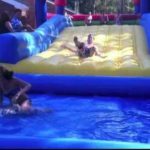 If you have a big space in your backyard, you might be hearing your kids every day on how they love to have a backyard inflatable water slide to go along with it. If you looking for one, it important that you have a set of criteria when choosing one to ensure that your kids are safe when they using the slide. 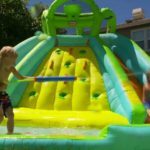 Almost every kid would enjoy a backyard inflatable water slide. I mean, who wouldn? Imagine the hours they be spending on your backyard pool and how happy they be. It a good way to keep them cool during summer while keeping them at home and saving money from going to public resorts. 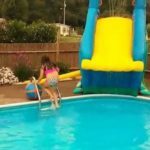 Your kids can also is it regardless of the season if they really love swimming. 1.) Determine who use the water slide. 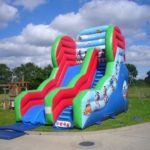 Do you want a slide that can be used by both kids and adults; such as you and your friends and relatives, or is the slide going to be used by kids alone. 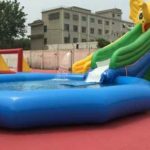 There are inflatable water slides in the market that are designed to be used by both adults and kids. It might be more expensive than the regular water slide, but it would ensure everyone safety when using the slide. 2.) Make sure that you check the restrictions of the water slide that you going to purchase. 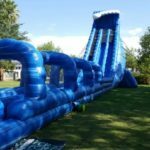 There are water slides that can accommodate more than one person using the slide, but the regular ones are designed to be used by just one at a time. 3.) 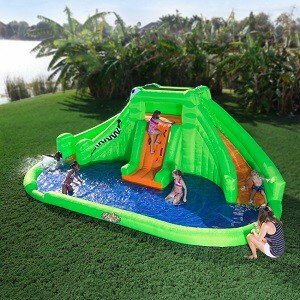 It very important that you know the size of the area where you place your slide (if the water slide you going to purchase is those with a small pool attached at the end of it) or pool that you going to use your water slide with. 4.) Last but not the least; determine your budget and the features you want on your slide. The bigger slide doesn necessarily mean that it the most expensive slide. 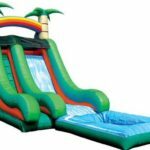 Most expensive backyard inflatable water slide are those that possess many features. If your budget can avail those that have numerous features, try selecting the features that you and your kids really want and it might save you some extra bucks. 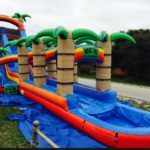 These are just some of the many guidelines that you should follow when purchasing a backyard inflatable water slide. Keep in mind that the fun that the slide would give your kids should also be providing the best safety for them.